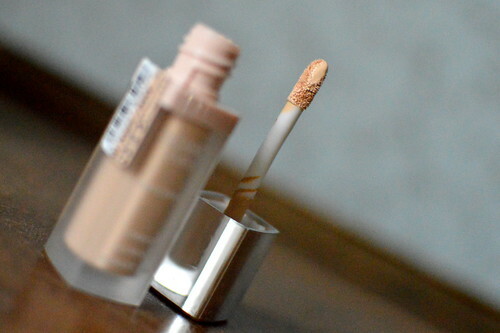 In the past 25 years or so, I have tried numerous concealers. I cannot begin to name them all, but believe me… I have tried heaps… and up until now I have not found thé one. Up until now?!?! 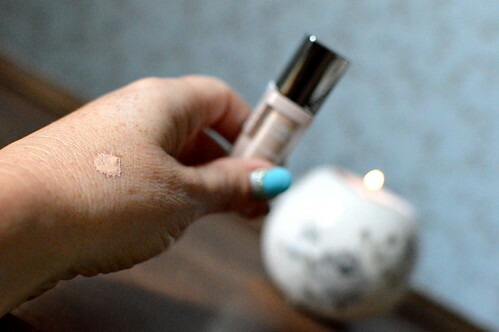 I was yet again disappointed in a concealer… it was however a favourite amongst many bloggers and was widely promoted, so of course I had to try it. But the product made the skin under my eyes so dry and most of the concealer ended up between those little wrinkles of mine… definitely not the look I was after!!! So I chucked the concealer in my daughter’s make-up bag and went concealer-shopping yet again… I went to the drugstore and searched for a concealer that I hadn’t already tried (which was a bit of a challenge I must admit). But luckily I stumbled upon this beautiful matt bottle at the Bourjois stand… apparantly it’s the newest concealer of Bourjois. I chose the lightest of the three shades. This concealer promises to conceal imperfections, dark circles and puffiness for a fresh and radiant look. The product is enriched with Mont Blanc glacier water & hyaluronic acid which should visibly smoothe away wrinkles and fine lines and hydrates the under eye area for up to 24 hours. (source : bourjois.co.uk). This product feels fresh on my skin so it might even reduce some of the puffiness under my eyes (this effect sadly cannot be noticed with naked eyes). The skin underneath my eyes definitely feels hydrated during the entire day. Can be used as a highlighter as well (haven’t tried that one yet!). The lightest shade is perfect for my complexion. It brightens my eyes. The concealer smells really fresh. It only comes in three shades so for some of you it might be difficult to find the right shade. I can definitely recommend this concealer. It’s particularly nice to use as it keeps the delicate skin underneath the eyes hydrated. I have tried and tested the Bourjois Radiance Reveal Concealer now for about a month and I am still really satisfied with the product… so perhaps I have found my perfect match?! 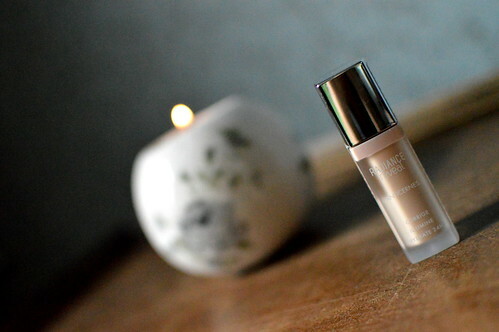 Here you can read a review about a foundation I like using. This entry was posted in Beauty, Make-up and tagged beauty, beautyblog, bourjois, make-up, skincare. The shade thing is a problem for me. I bought 01, but it is too light for me. 02 isn’t light enough for under eyes. I just can’t win with this one. Sounds good. I am always on the look out for a good concealer. I just bought one in London from Revlon also very good.